Advertising is how a company encourages people to buy their products, services or ideas. An advertisement (or "ad" for short) is anything that draws good attention towards these things. It is usually designed by an advertising agency for an identified sponsor, and performed through a variety of media. Ads appear on television, as well as radio, newspapers, magazines and as billboards in streets and cities. They try to get people to buy their products, by showing them the good rather than bad of their products. Advertisers influence our emotions by techniques that include stereotyping and targeting the audience according to who we are. Emotions are influenced by things such as this our occupation, beliefs, personality, self esteem, lifestyle, relationships, friends, how we look and what we wear. Advertisers use methods that attract attention. For example, to make a burger look tasty in advertising, it may be painted with brown food colours, sprayed with waterproofing to prevent it from going soggy and sesame seeds may be super-glued in place. Advertising can bring new customers and more sales for the business. It can be expensive but can help make a business make more money. Commercial messages and political campaign displays have been found in the ruins of Pompeii and ancient Arabia. Lost and found advertising on papyrus was common in Ancient Greece and Rome. Wall or rock painting for commercial advertising is present to this day in many parts of Asia, Africa, and South America. The tradition of wall painting can be traced back to Indian rock art paintings that date back to 4000 BC. Londoner Thomas J. Barratt (1841–1914) has been called "the father of modern advertising". He worked for the Pears Soap company, eventually becoming its Chairman. Barratt created an advertising campaign for the company products. It used targeted slogans, images and phrases. One of his slogans, "Good morning. Have you used Pears' soap?" was famous in its day and into the 20th century. As the economy expanded across the world during the 19th century, advertising grew alongside. In the United States, the success of this advertising format eventually led to the growth of mail-order advertising. Very important was the growth of mass media, with mass circulation illustrated newspapers in the later 19th century followed by film, radio and television. Advertising happens in many different ways. Many products are advertised on television, although not all channels permit advertising. The advertisements usually appear during breaks between a television show. They are usually for products, other television shows or movies and are not normally much longer than 30 seconds. Some radio stations have audio advertisements that play between programmes. An advertisement for a movie is called a trailer. It shows a short collection of clips from the movie, and shows the date it will be released in cinemas. 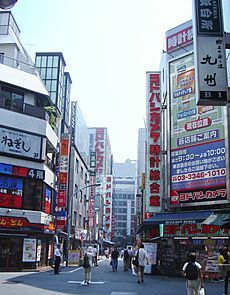 Advertising also takes place on websites. These may appear as "banner ads" or "popups". They are often still images or flash animations. The owner of the website will get money when a user clicks on the advertisement. Sometimes they will get a percentage of the money if they buy a product. Billboards advertise products on highways and city streets. These may simply be freestanding billboards or may be part of street furniture such as a bus shelter. Buses and taxis are often covered in adverts, while budget airlines sometimes allow advertising inside their planes. Adverts also appear in newspapers, magazines and sports programmes. Many stadiums have adverts set around them. Sports teams, tournaments, television programmes and public events may have a sponsor who is the main or sometimes only advertiser. Advertisers use many different techniques to get people to notice their adverts, often using deliberately shocking or provocative images.Once they have managed to make people notice their advert, they need to 'sell' the product or brand. They may try to make the product look appealing, however often advertisers use humor in such a way that get people to remember the brand without actually promoting the product. Poor adverts can damage sales or spoil a brand's identity. Advertising is often strictly regulated, for instance in the United Kingdom it is illegal to advertise tobacco, except in the shop where it is sold and this is also restricted. In France it is illegal to advertise alcohol, meaning that when many European football teams play in France, they cannot play in their usual shirts as breweries often advertise on sports shirts. It is also illegal to advertise on some television channels, the BBC in the United Kingdom and RTE in the Republic of Ireland are not allowed to permit advertising and instead make their revenue from selling a compulsory television licence. Bronze plate for printing an advertisement for the Liu family needle shop at Jinan, Song dynasty China. 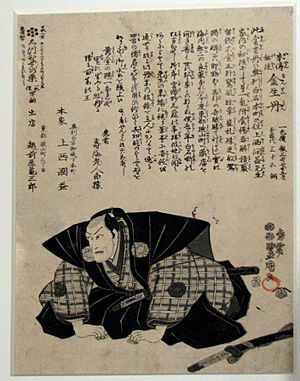 It is considered the world's earliest identified printed advertising medium. A 1900 advertisement for Pears soap. 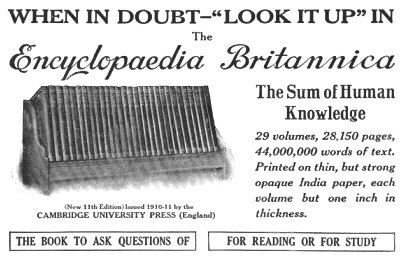 A print advertisement for the 1913 issue of the Encyclopædia Britannica. A bus with an advertisement for GAP in Singapore. Buses and other vehicles are popular media for advertisers. 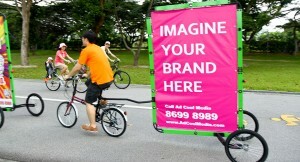 Mobile Billboard in East Coast Park, Singapore. A DBAG Class 101 with UNICEF ads at Ingolstadt main railway station. A London Bus, with a film advertisement along its side. An Allegiant Air aircraft in the special Blue Man Group livery. Advertising Facts for Kids. Kiddle Encyclopedia.